A contemporary Belgian oak box with lead rim (36 inches H x 36 inches W). 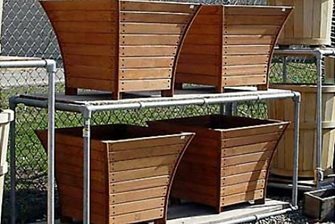 Belgian white oak Floris planter boxes (19-1/2 inches sq. footprint; 29-1/2 inches sq. overall x 24 inches H). 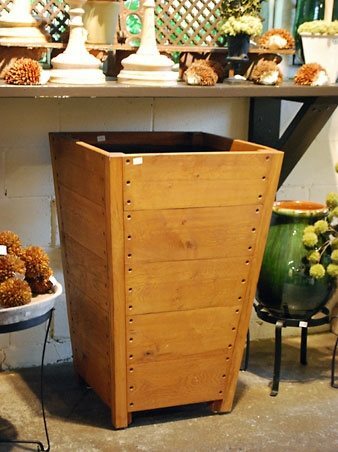 Belgian White Oak Marot planter (25-1/2 inches sq. x 39 inches H). 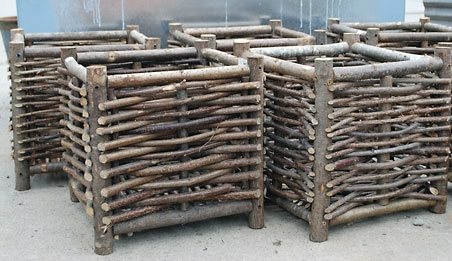 Hazelwood Box Planters (16 inches square). Here in the US, Belgians are known for their waffles, chocolate and beer. Whether having brunch in LA or enjoying a night on the town in NY, you can find these Belgian specialties just about anywhere. 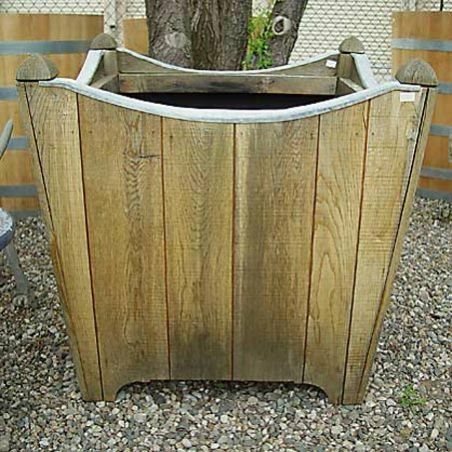 However, the folks at Detroit Garden Works know the Belgians for something entirely different, their high-quality garden planters. 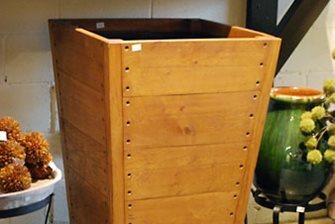 Detroit Gardens Works offers a variety of Belgian-made planters. 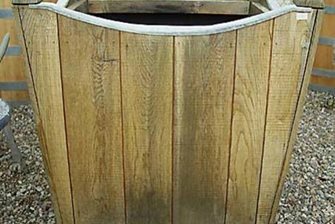 From smooth white oak to woven hazelwood, these planters span the gap between contemporary and rustic. The handcrafted planters are sourced from the store's European buying trips. 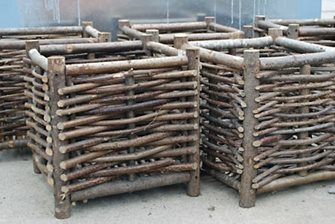 If you're looking for a truly unique planter for your garden, then look no further. The Belgian planters offered by Detroit Garden Works are both high-quality and attractive. Detroit Garden Works also offers French, Italian and English planters.